After a dozen years, Beyond Ballroom, the Twin Cities-based dance company that brought such moves as the foxtrot, the cha cha and the tango from the competitive arena into the world of concert dance, is calling it quits. The founders of the company have decided to fold up shop after the 2015 season, which includes upcoming performances at the Cowles Center for Dance in Minneapolis. 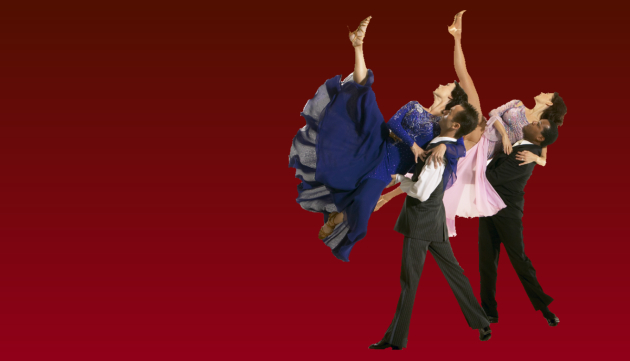 Beyond Ballroom was started by seven highly decorated ballroom dancers in 2003. It was a shoe-string operation, with a budget of just $50,000. But what it lacked in resources, it made up for in passion and dedication. Company members used their skills to craft and present dances that tell stories at venues such as the State Theater, The Fitzgerald and Orchestra Hall. "Murder at the Green Lantern Saloon," for example, was about the mob underworld of St. Paul. Beyond Ballroom is best known for its ballroom retelling of Hans Christian Andersen’s “The Nightingale.” It also regularly performed “Red Ridinghood Suite,” which will be on the program at the Cowles Center, Feb. 13-22.